We won't all be gaming in the clouds for a while, says GameStop's president. Despite increasing competition from mobile, social, and cloud gaming, GameStop president Tony Bartel thinks that consoles have plenty of life left in them, and will be the "gold standard" of gaming for a long while yet. Bartel said that people's relationship with consoles will change, but they won't be abandoning them just yet. "People will begin to digitally download first a lot more downloadable content," he said. "Eventually, full games will become more relevant to some consumers who want to do that." Bartel thought that DLC revenues would increase from $3 billion right now, to $6.4 billion by 2014. He also said that streamed games, like the ones offered by Gaikai, OnLive, and soon GameStop itself, would continue to grow as internet speeds became faster and faster and people had access to more bandwidth. He didn't want to speculate about it too much however, preferring to focus on existing business models. 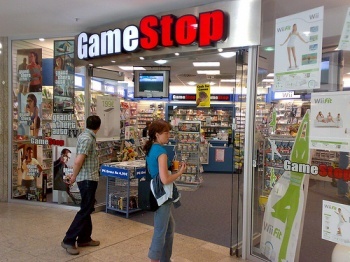 While GameStop is making inroads into providing more digital content, as a brick and mortar retailer, it is understandably keen on games consoles - and physical media in general - being around for a while. His predictions seem entirely plausible, and as long as GameStop manages to stay ahead of the change, then it could remain relevant even when pre-owned sales have been confined to the scrap heap.